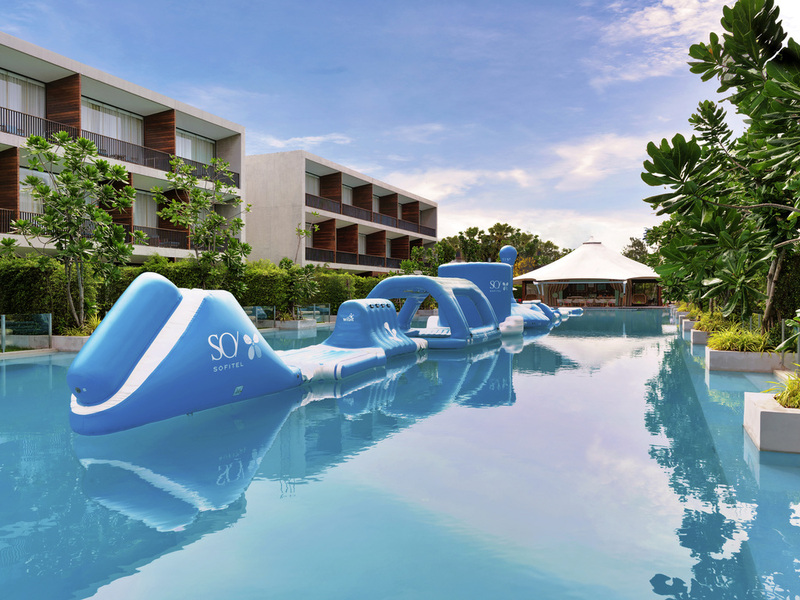 The playful and stylish SO/ Sofitel Hua Hin is located directly on Cha Am beach with historical eminent Hua Hin, an aristocratic retreat. The resort is equipped with 100 SO guestrooms and nine exclusive SO Pool Villas with two distinct room styles: SO Nature, a mix of simple natural elements and lavish French refinement; SO Arty, blending the sophistication of the past with chic, contemporary design. The resort benefits from the creative signature of fashion designer, Polpat Asavaprapha. Activities for all ages: Wibit Adventure Float, 18 hole minigolf, Tennis court and Kids Club. Beach Society; beach club and restaurant featuring monthly events. MyResorts program: MyGlass all day free flow beverages and MyKids all day children benefits.